Annapolis Area Christian School boys’ basketball’s first season in the MIAA A Conference had more than its share of ups and downs. The Eagles ended the season on a positive note Tuesday. AACS won the Maryland Independent School Tournament title with an 82-68 victory over Gilman School in the final in Odenton. Aaron Celcis posted 32 points and 10 rebounds for the Eagles (12-15 overall). Celcis, a 6-foot-6 junior forward, was named the tourney’s Most Valuable Player. During the regular season, AACS won three games in MIAA A play, including a 61-56 decision over eventual MIAA A tourney runner-up and fourth-ranked Boys’ Latin School. 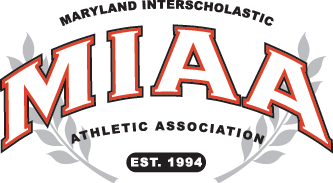 After ending its regular season with loss to McDonogh School, Annapolis Area defeated the Eagles in Owings Mills in the MIS opening round last Tuesday followed with a 68-55 at second-seed Bullis School Thursday. Gilman, which knocked off then-No. 6 St. Vincent Pallotti, in the semifinals after defeating Glenelg Country School, finished 10-21 on the season. Senior Cam Williams scored 16 points for AACS while Eddie Scott added 12 points and RJ Forbes finished with 10.